inSite Innovative Education Solutions has made its debut on the international stage as a small company to be reckoned with in a big way. This innovative team was awarded two 2016 African Corporate Excellence Awards, namely: Best Communications Consultancy (Gauteng) and Best for Retirement Fund Communication Technologies by UK magazine – Corporate Vision. London, United Kingdom, January 26, 2017 --(PR.com)-- The South African communications company raked in a total of 7 awards in 2016 for campaigns that are helping people say what needs to be said in the retirement fund industry. As in most countries, the retirement fund industry is complex in South Africa. This situation is exacerbated by the fact that the country has 11 official languages. 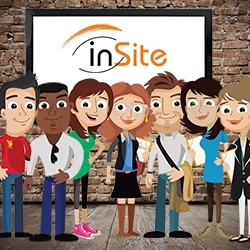 inSite helps give corporate companies a voice, by taking complex information and turning it into easily assimilated infographics, tools, apps, and diagrams. Explaining is one thing. Getting your message across is quite another. inSite strives to convey value without having to say too much, while making sure that what is said is understood and complete, by means of original words and memorable imagery. In South Africa, one target audience can include vastly different literacy levels. inSite aims to mitigate this challenge by creating tools that, irrespective of language, background, or education, can assist everyone to understand the message being communicated to them. The ability to truly help someone understand implies being able to say what needs to be understood, naturally, without saying too much. After all, those who make the most noise...inSite employs no empty barrels. Let inSite help you simplify your message. Contact this dynamic company today. For easy, practical tips to simplify complex concepts, read the latest edition of the inSite magazine.